Yields 2 quarts of cooked beans! Start with a 16 ounce bag of Goya Pinto Beans, Frijoles Pintos for about $1.39 at your local supermarket. Rinse the beans in a strainer. Place in a stock pot. Cover beans with an inch or so of water. I like to add a 2-inch dried piece of Wakame sea vegetable (available at Asian markets and natural foods stores). But, beans cook fine without it, if you don't have it. Bring to a boil, reduce heat and cover leaving a small opening for steam to escape; simmer until beans are cooked to taste. No need to pre-soak the beans. Cooking time only takes about 30-45 minutes. Also, no need to salt or season the beans. Wait until you use them in your recipes. 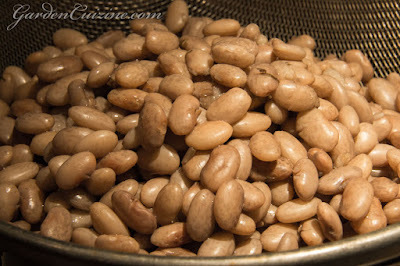 Note: don't worry if you overcook them - pinto beans are delicious mashed with a little salt, pepper, onion and olive oil as refried beans, or as a spread in fajitas or mixed with olive oil, salt, pepper and garlic as a bean dip. When cooked, strain and save the bean liquid. Divide beans into two quart storage containers. 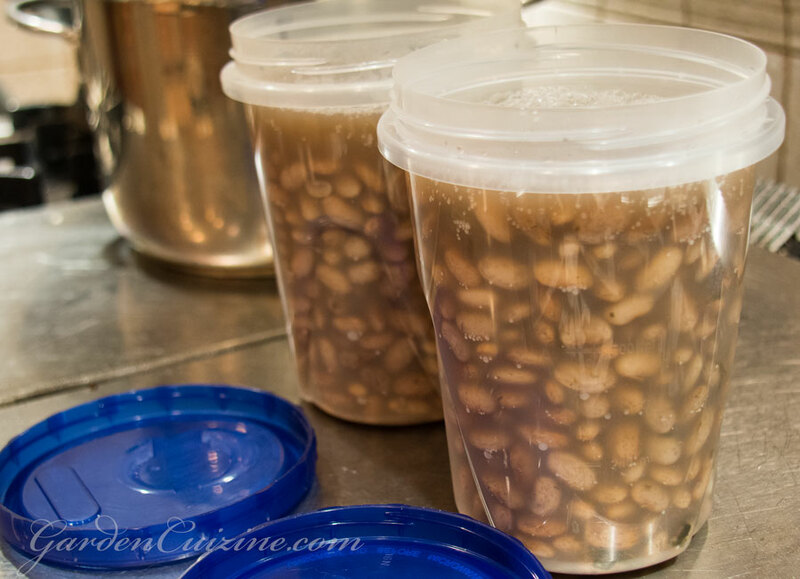 Top with bean liquid and refrigerate until ready to use in recipes. Any extra bean liquid can be tossed or used in recipes. I used our extra bean liquid in a quinoa recipe.